These MR16 bulbs have 3 LED's. They are an easy replacement for regular MR16s. 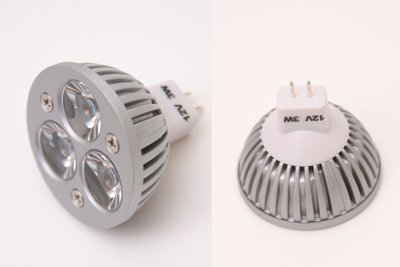 Our MR16 LED bulb only uses 9 watts per bulb. Compare that to a standard 30 watt halogen bulb.